Rationale. When humans are acutely exposed to multiple stressors, cognitive performance is substantially degraded. Few practical strategies are available to sustain performance under such conditions. Objective. This study examined whether moderate doses of caffeine would reduce adverse effects of sleep deprivation and exposure to severe environmental and operational stress on cognitive performance. Methods. Volunteers were 68 U.S. Navy Sea-Air-Land (SEAL) trainees, randomly assigned to receive either 100, 200, or 300 mg caffeine or placebo in capsule form after 72 h of sleep deprivation and continuous exposure to other stressors. Cognitive tests administered included scanning visual vigilance, four-choice visual reaction time, a matching-to-sample working memory task and a repeated acquisition test of motor learning and memory. Mood state, marksmanship, and saliva caffeine were also assessed. Testing was conducted 1 and 8 h after treatment. Results. Sleep deprivation and environmental stress adversely affected performance and mood. Caffeine, in a dose-dependent manner, mitigated many adverse effects of exposure to multiple stressors. 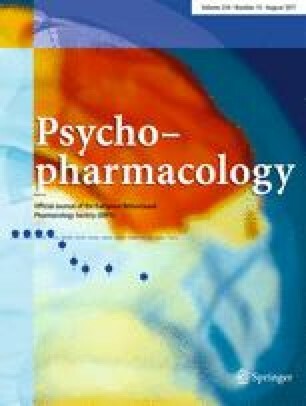 Caffeine (200 and 300 mg) significantly improved visual vigilance, choice reaction time, repeated acquisition, self-reported fatigue and sleepiness with the greatest effects on tests of vigilance, reaction time, and alertness. Marksmanship, a task that requires fine motor coordination and steadiness, was not affected by caffeine. The greatest effects of caffeine were present 1 h post-administration, but significant effects persisted for 8 h.
Conclusions. Even in the most adverse circumstances, moderate doses of caffeine can improve cognitive function, including vigilance, learning, memory, and mood state. When cognitive performance is critical and must be maintained during exposure to severe stress, administration of caffeine may provide a significant advantage. A dose of 200 mg appears to be optimal under such conditions.